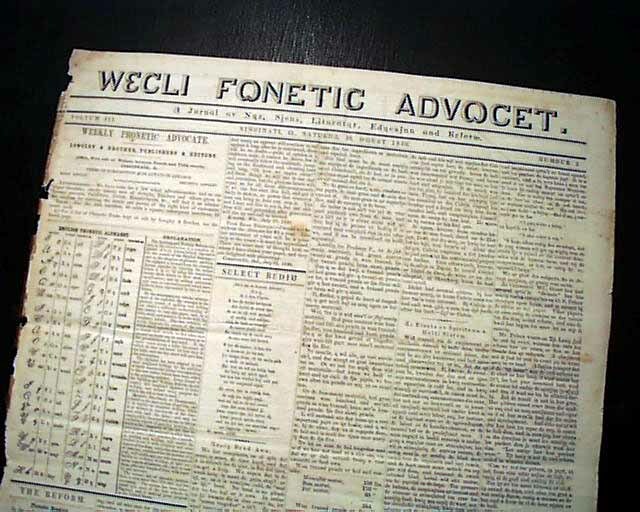 [Weekly Phonetic Advocate, Cincinnati, Ohio] This is one of the more curious newspapers of the 19th century. During this time there was a movement afoot to create a new mode of writing & spelling: to spell words as they sounded, phonetically. 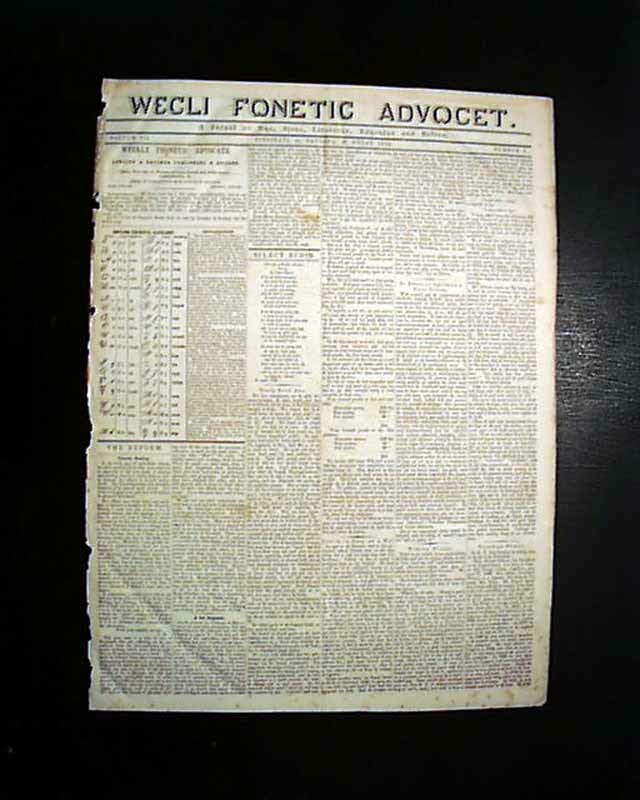 Obviously it never caught on, but it did result in this unusual newspaper which is almost entirely written phonetically. 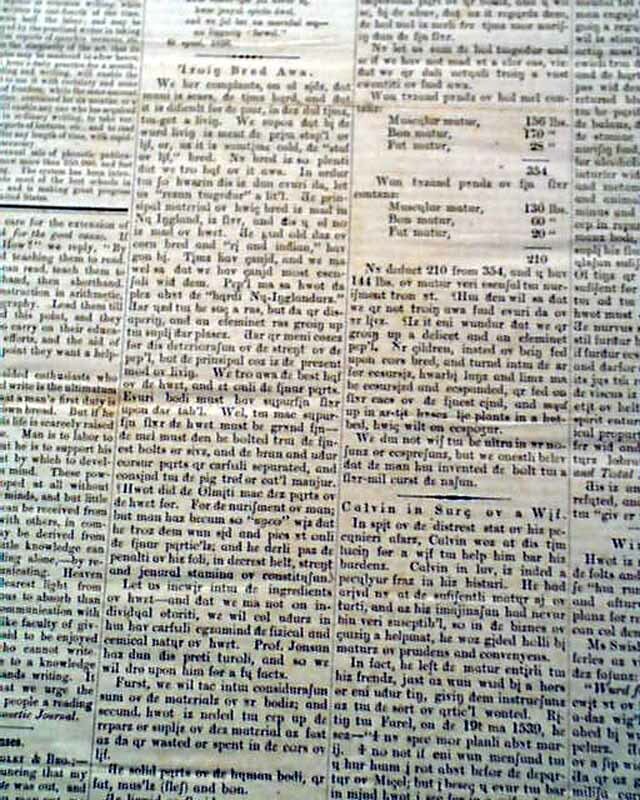 This newspaper lasted a bit over 3 years. 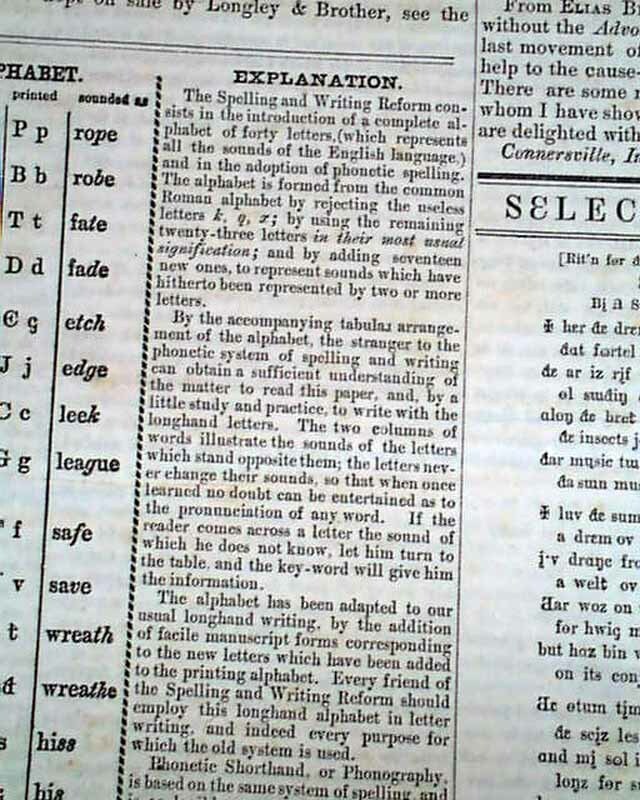 The front page: "Explanation" begins: "The Spelling and Writing Reform consists in the introduction of a complete alphabet of 40 letters (which represents all the sounds of the English language.)..." 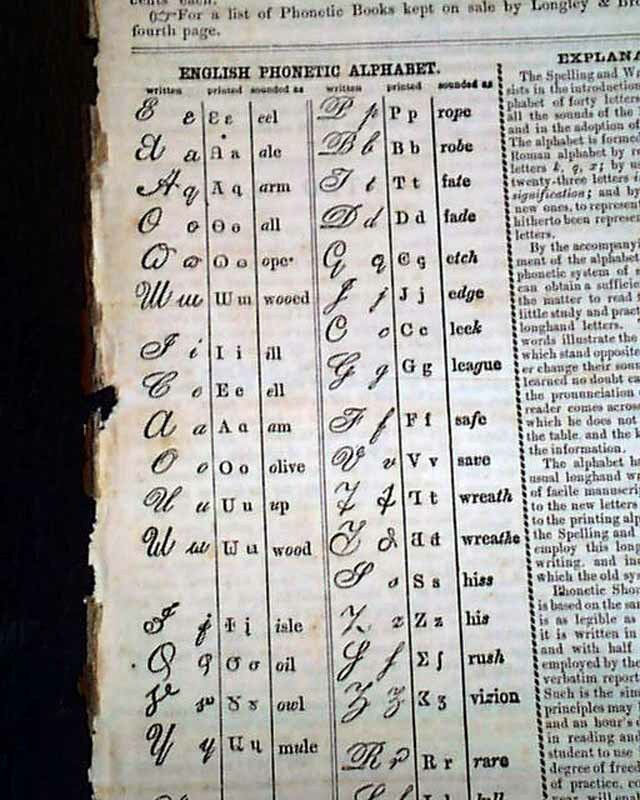 with more (see), and adjacent to it is the: "English Phonetic Alphabet". Four pages, irregular at the spine, otherwise in nice condition.